This model is crafted from a dependable material that will enable it to withstand the test of time. 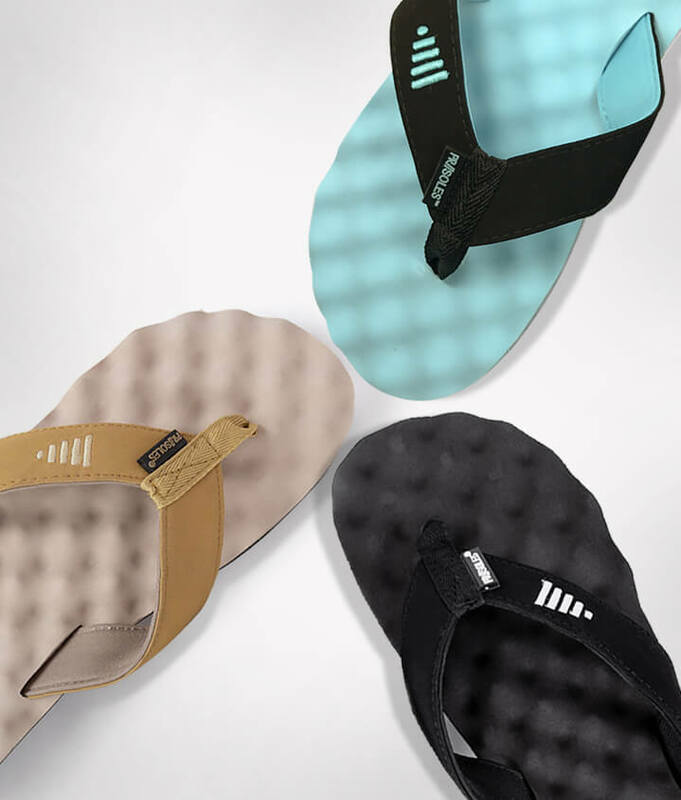 Even though they might not cost a fortune especially when compared to the price point of some of their competitors, flip-flops still have to last for a decent amount of time in order for them to be worth the investment. You won’t have to replace these ahead of time if you choose this option. Unlike other products available in the same line, this one seems to be pretty accurate at least in terms of sizing. 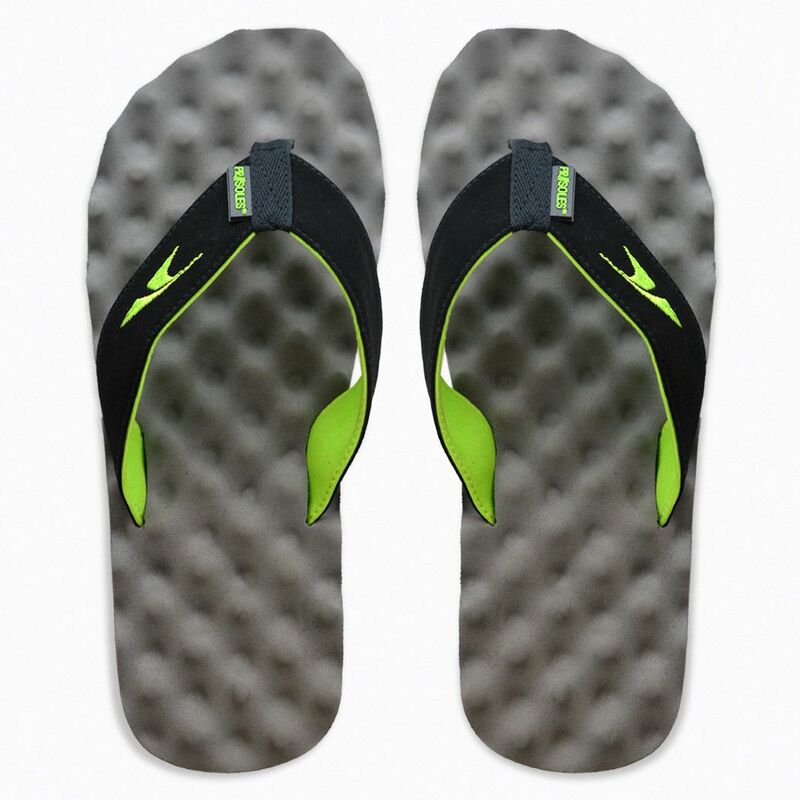 Most of those that have ordered the flip-flops have not encountered any issues in this respect, so that’s worth mentioning seeing how this is a problem that occurs with pretty much all types of footwear that you might want to buy online. The structure of the soles as well as the surface that comes in direct contact with your feet are made in such a way so that you are able to benefit from a mini-massage with every step you take. For some, this might actually be an inconvenience as they might rather require a harder surface to step on. For others, it might be just what they may have been looking for. Flip-flops are some of the simplest types of footwear one can opt for, but there’s a huge difference between a pair you need and one you can do without. If you’re focused on giving your feet the best in terms of comfort and reliability, perhaps this model might do you good. The Acupoint technology developed by Gone For a Run will make it possible for you to enjoy walking indoors or outdoors as you once used to. 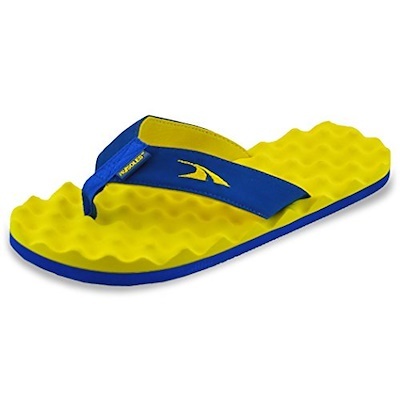 Whether this detail matters to you or not, you might find that this pair of flip-flops definitely costs less when compared to some of the other models you might encounter while browsing through the many available today. A quality pair of recovery sandals will typically set you back around fifty dollars, but this one can cost almost half of that. Do take into account that this kind of product can’t offer the same advantages as a slip-on and harder sandal. The problem with most recovery sandals is that they are too heavy to be worn with ease. That doesn’t happen in this case, of course, but on the one hand, you have the benefit of a lightweight and soft design, and on the other, you might have to deal with the fact that they can’t provide that much pain relief as regular recovery sandals. Plus, they won’t last for a decade. Based on what we have found about these flip-flops, they’re comfy but they might not take the cake when it comes to durability. Besides, some users have encountered issues with the sizing, as is the case with most footwear you might order online. For some they’re either too small and for others they might be too big.